The bibliometric study used 1,067 source documents identified with a keyword search and combining the analysis of the citations between them, together with citation and publication counts, which are the two most basic bibliometric measures. These documents represent all the smart-city literature published in the English language between 1992 and 2012. The analysis identifies the main research institutions that contributed to the rise of this paradigm (see, Table 4). It shows also that smart city research follows two main development paths. 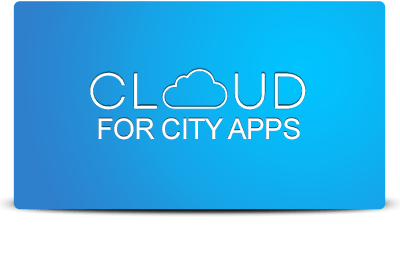 The first one is based on the peer-reviewed publications produced by European universities, which support a holistic perspective on smart cities. 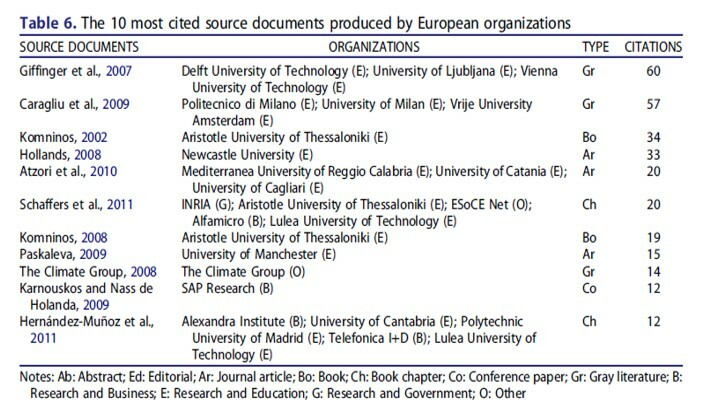 The main authors that contributed to this strand are listed below (Table 6). The second path, instead, stands on the gray literature produced by the American business community and relates to a technocentric understanding of the subject. Main authors in this strand are below (Table 7). Thus, while the bibliometric analysis indicates that smart cities are emerging as a fast-growing topic of scientific enquiry, much of the knowledge that is generated about them is singularly technological in nature. 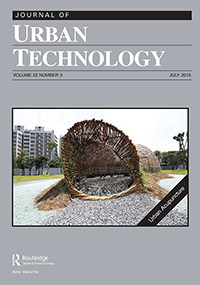 In that sense, lacking the social intelligence, cultural artifacts, and environmental attributes, which are needed for the ICT-related urban innovation that such research champions.